If you want to participate in the cryptocurrency market as a trader or investor, you have to know a few things beforehand. 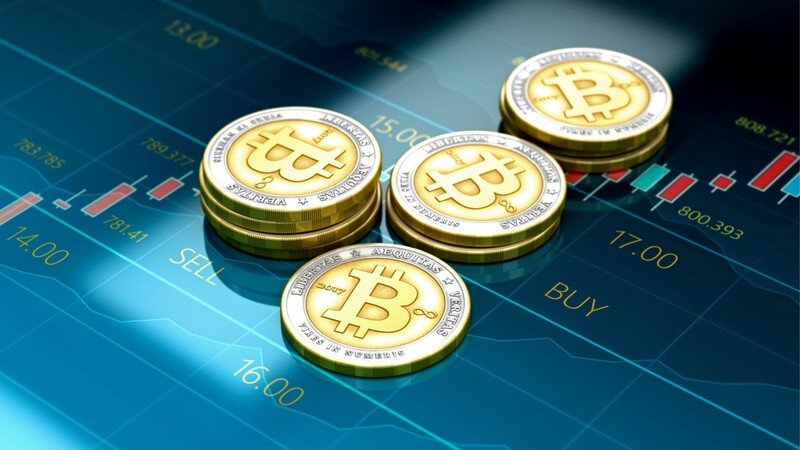 While there is not a lot different in this market from the other financial markets, you still need some basic knowledge if this is the first time you are going to trade cryptocurrencies. There is no rocket science involved in trading cryptocurrencies regardless of which platform you choose. As you read on, you will learn a lot about the basics of investing and trading cryptocurrencies. Let’s start with the difference between brokers and exchanges. The first thing you have to know is the difference between brokers and exchanges. Exchanges, as the name can tell, are places where you can exchange one currency for another. There are many other intricacies involves in which currencies you can trade for which currencies. Exchanges are the places where people open positions and other people fill them up. So, there are people who are selling real currencies and people who are willing to buy those real currencies. On the other hand, you are not necessarily trading cryptocurrencies or fiat currencies when you sign up with online brokers. Online brokers are people who give you access to the many financial markets of the world. They are not the ones who own any financial assets or currencies. When you trade cryptocurrencies with these brokers, you are not actually buying the cryptocurrency. In most cases, the broker is letting you trade CFDs. CFDs are contracts for difference i.e. one of the many trading instruments you can use in the trading world. When you enter trade, you are taking ownership of a derivative contract based on a particular asset. When a broker tells you that you can trade cryptocurrencies, he/she means that you will be trading the contracts. On the other hand, when you buy a cryptocurrency on an exchange, you take ownership of the currency. This currency is first stored in the wallet that you have with the exchange. Later on, you can have this currency transferred to your personal wallet. So, when you decide to invest in the cryptocurrency market through a broker, you first have to open an account with the broker. It is important to notice here that if the broker is letting you trade CFDs, you will be able to trade many assets other than cryptocurrencies as well. For example, you will be able to trade gas, fuel, stocks, metals, soft commodities, etc. in the CFD form. You often need to have a minimum balance that you have to maintain to start trading with the broker. The broker will also provide you some leverage to control big trades. The leverage you get from the broker depends on whether you can maintain the minimum margin requirement or not. Once you have opened an account with the broker, you will then enter the trades. You have to look at the charts, graphs, and many other trading tools to know which way the market will shift. If your prediction is right and you have taken the right position on the trade, you will end up profiting from the trade. This profit is then credited to your online account with the broker. You can withdraw this money based on the terms and conditions from your broker. You have to know beforehand which currencies are available for you to withdraw. In most cases, you are able to withdraw the same currency that you used for making the deposit in your account. It does not matter whether you trade stocks, futures, indices, cryptocurrencies or fiat currencies, you are only trading contracts. You don’t own any of those financial assets at any point. You either lose your money or make more money in your account based on the outcome of your trade. Cryptocurrency exchanges are the places where you really buy or sell the currency. You first have to know which currencies the exchange can accept from you and which currencies you can buy. When you spend your money to buy a cryptocurrency, the actual crypto-coins are transferred into your wallet. This wallet is held with the exchange automatically. However, you also have a personal wallet where you can have the money transferred from the wallet on the exchange. This is now real money in your possession. You can use this money any way you like. You are not really looking at your profits or losses when you buy a cryptocurrency on the exchange. Yes, there will be a difference in the buying and selling prices of the exchanges but that’s the way exchanges make their money. In most cases, the exchange will tell you how many units of your currency you have to spend to get a certain number of units of a cryptocurrency. It is important to know here that you will not always be able to buy any cryptocurrency you want on exchanges. Different exchanges have different currencies listed on them. You can only buy the ones that are listed. Similarly, you can only spend the currencies that the exchange allows you to spend. Certain exchanges on the internet are there only for certain cryptocurrencies. For example, an exchange might only let you buy Bitcoins against whatever fiat money or cryptocurrency you use. Some can have a lot of cryptocurrencies available for you. The things you have to see before investing in cryptocurrencies are as under. You will be dealing with exchange rates when you are buying a cryptocurrency on an exchange. The exchange rate tells you how many units of the cryptocurrency are available for the amount of money you are willing to spend. You often have to compare a lot of different cryptocurrency exchanges to know the best exchange rates. It is not wise to trust the cryptocurrency exchange that you see on your screen. Based on the currency you are looking to buy, you will have many options to compare. Go for the exchange rates that give you the best return to the money you spend. When it comes to brokers, you will be dealing with spreads. Spreads are the price differences for the same asset when you purchase or sell it. You will see that your broker is giving you different prices when you sell and purchase the same asset from it. When you go to the broker to sell the asset, it will give you a smaller return. On the other hand, you will be paying more money when you buy back the same asset from the broker. This difference in the prices is called spread. This is how the brokers make their money. However, you have to know that some brokers like to charge commissions. Commissions are based on the volumes of your trades. The bigger the volume of your trade, the more percentage the broker will take. One of the most important things when it comes to trading or investing cryptocurrencies is to know which currencies you can use. This information is easily available on almost all the exchanges and brokers. The broker will tell you which currencies you can use to deposit funds in your account. Sometimes, the number of currencies you can use depends on the type of account you open with the broker. The most commonly used currencies with online brokers are USD, EUR, GBP, AUD, and CAD. Whether you are depositing funds in your account or withdrawing them, you will have to use the listed currencies the broker’s website. When it comes to cryptocurrency exchanges, they will also tell you which currencies you can use to buy cryptocurrencies. The one thing you want to be sure about here is whether or not you will be able to use cryptocurrencies for cryptocurrencies. Exchanges that allow you to exchange one cryptocurrency for another are increasing in number with the passage of time. The most famous cryptocurrencies that you will find on most of the cryptocurrency exchanges are Bitcoin, Ethereum, Stellar, Litecoin, Ripple, and Bitcoin Cash. If you already own some crypto-coins, it is best that you look for an exchange that lets you trade cryptocurrencies for cryptocurrencies so you don’t have to convert your currency multiple times before using it. On an exchange, you have to know the methods of buying the cryptocurrencies. Exchanges are doing the best they can to make more and more methods available to the people to buy cryptocurrencies. Just a few years back, you could only use bank wire transfers and cash to buy cryptocurrencies. You did not have a lot of methods to buy these currencies. However, the cryptocurrency market has come to a point where you can now buy cryptocurrencies with credit cards as well. The number of exchanges that let you use your credit card is still quite limited. However, the number is increasing with time. Believe it or not, you can also use your debit card to buy cryptocurrencies now. The number of exchanges that let you do that is even smaller than the number of exchanges that let you use a credit card for buying digital coins. The one thing you have to be careful about is the fees that you will be charged for using this convenience. It is best that you first do a comparison of exchanges to know the lowest fees. In the case of online brokers, you can use a lot of methods to deposit funds in your account. Again, since you are only buying the contracts of an asset, you have quite a few options available to fund your account. You can use credit cards, debit cards, wire transfers, and even the many online payment methods. However, the money you send in your account is not directly used for trades. It first rests in your accounts unless you enter into a trade. Leverages increase your capacity of trading financial assets. Safety and security are the most important concerns regardless of whether you are dealing with a cryptocurrency exchange or broker. When it comes to online brokers, you often want to check their registration and licensing information on the website. You will usually find their regulation and licensing information right on the website. When it comes to cryptocurrency exchanges, you have to research on the internet to know how safe the exchange is. Things are still not as strict as they should be when it comes to cryptocurrency exchanges. Investors and traders are still on the unsafe end if something goes wrong. Browsing on the internet will quickly give you an idea of how safe or unsafe an exchange is. Hackers are usually after cryptocurrency exchanges because of lack of regulations in this industry as of the moment. Not to mention, these players are new in the industry so their security protocols are still improving. If you see an exchange that has compromised on the security of funds of the crypto-investors before, you want to keep away from trading on it. This is the reason you don’t always want to pick the exchanges with the lowest fees. If their fees are as low as their security protocols, you should be looking elsewhere to buy cryptocurrencies. Buying and investing in cryptocurrencies is a straightforward thing. You just pick your exchange or broker, open an account on the website, and buy the cryptocurrency (asset) that you wish to put your money on. With exchanges, you transfer the purchased currency instantly to your personal wallet. All of this can happen within seconds. With online brokers, you deposit the funds in your account and use them only when you think there is a trade that will be profitable. All in all, it is now the perfect time to invest in cryptocurrencies because the market is new and spreading at a fast pace, and new conveniences for traders are being introduced every day.